Here's a layout I made a few weeks ago but forgot to share it here. It's another layout of Gracie at the park ;) This girl loves going to the park more than any of the other 3 kids did combined! She has the swings mastered, but still wants Mommy to push her "so her toes reach the sky". Fortunately we have 10 parks just in our little city, so we have plenty to visit. Don't you love the bright blue feather! Well it's another layout for Gracie's album completed, and even though this isn't the first layout about her at the park, and surely won't be the last, it's another memory recorded. Beautiful Mary Ann, I have just bought that paper pack so it is super to see some inspiration....and I've just about finished my page with the dear lizzy die cut that you post me the link too - love it so thank you. Great layout Mary Ann! I love the addition of the feather and those pics are perfect for that floral pp! 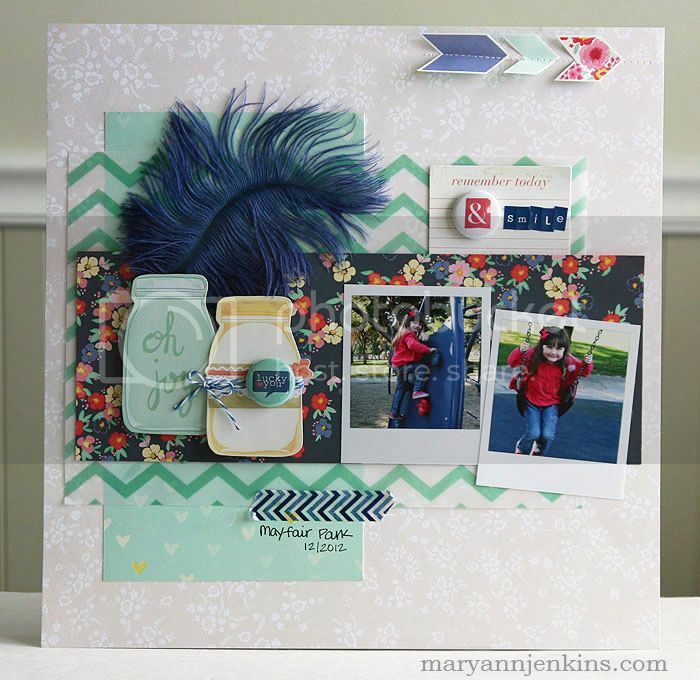 This layout is gorgeous, Mary Ann! I really love the feather. Awesome layout. The feather is so cool. wow totally stunning and LOVE that big feather..
She will treasure all the memories you have captured. You also used a lot of hot trends. Great page. I love this! 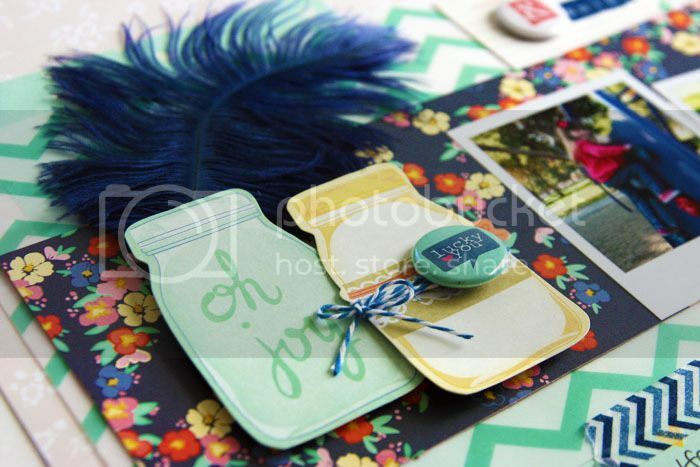 You are such an inspiration - never thought to use feathers on a layout!! Very fun page. Love the big feather. LOVE this page Mary Ann!! 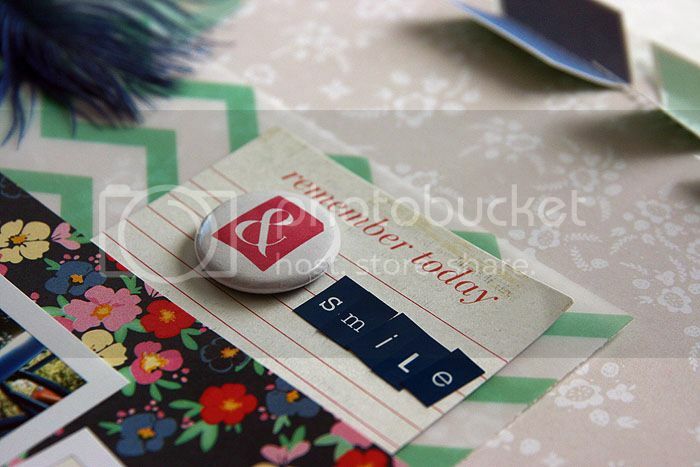 The Mason Jars are too cute and I love those "Polaroid" pics!! And great use of the Bella feather!